For those who enjoy motorcycles and also want to be able to download free games on the Internet, then Trial Bike Ultra offers a great opportunity. It is just an example of one of the many great free downloadable games that you can get off the website. To find out more about the game and to play it for free, take a look at http://www.myplaycity.com/. 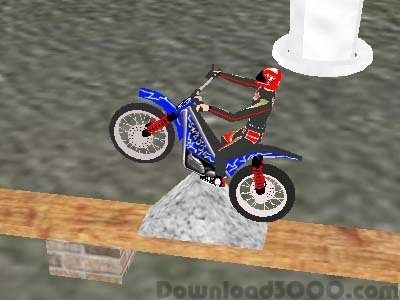 You can test out some of your steering skills on the motorbike, immerse yourself in realistic scenery and fully three dimensional graphical effects which do not require an enormously powerful computer to run. With complex and realistic mechanics, you can enjoy this simulator and really get to see what biking is all about. You can get a score for passing certain levels, and you can really feel the spirit of the competition as the scores diminish as every second passes. You can also compare your scores to other players, and hopefully, if you are good enough at the game, you will be able to make it into the top 10 and show your score with thousands of other players all across the world. If you are up for the challenge and want to download free games, then check it out and play for free.